I was recently cruising around my friend Cecily’s website CeciBean. She has some adorable stuff. 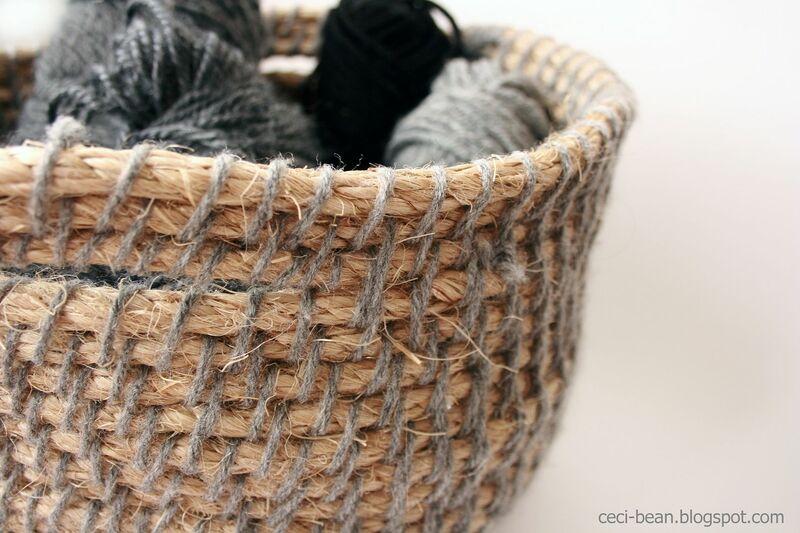 Her latest post on how to make a rope basket caught my attention so I asked her if I could share it here on Burlap and Denim. Check it out! Amazing, right? I love how cozy, folk artsy, and fall it is. And now check out the supplies that she used to make it! I have this sitting around in storage in my basement! So here is a warning to friends, you may be getting one of these for Christmas! What a great finished product, Thanks for sharing Cecily! 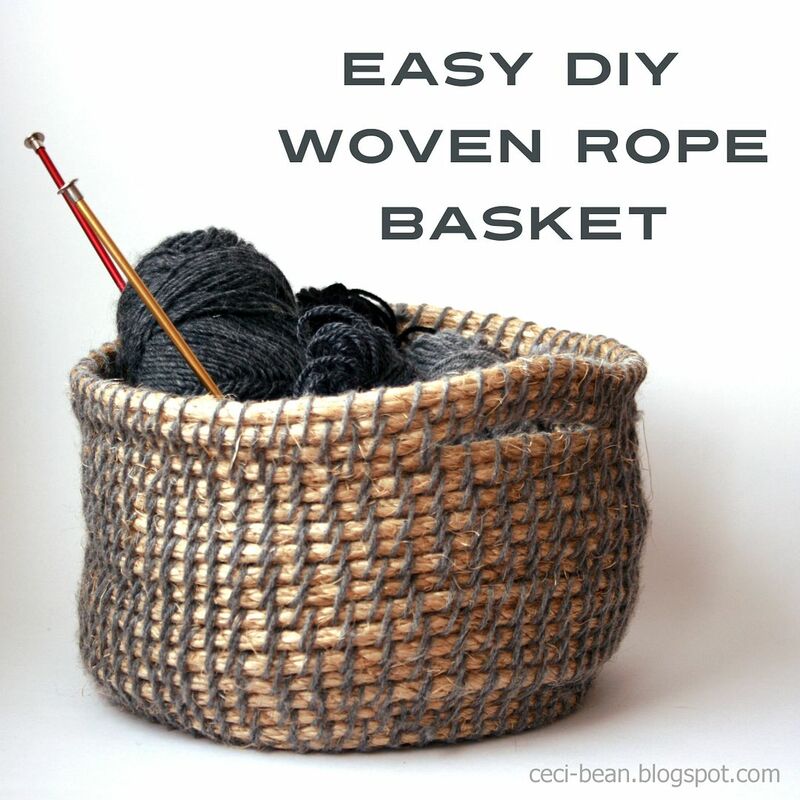 Click HERE for the whole tutorial on CeciBean. Let me know how your’s turns out Deb! I’d love to see a pic. Thanks so much for sharing my project! CeciBean, It was too awesome not to! Luv this… Thanks for sharing… will have to re read… but def on my todo list. I love look of that basket, doesn’t really look too hard. I’d love to try it, what would I have to lose?Think I’d wear gloves tho as that rope can be brutal on hands while handling it. 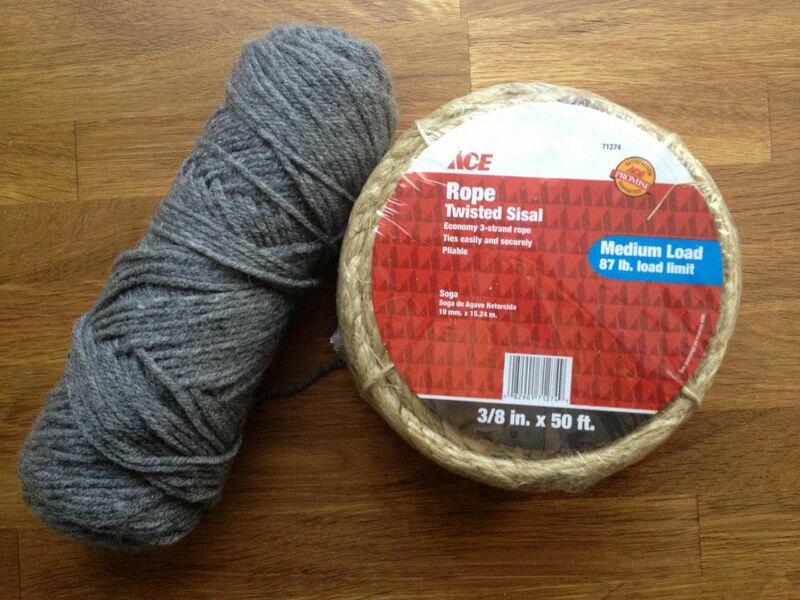 I have yarn but will need to buy some of that sisal. 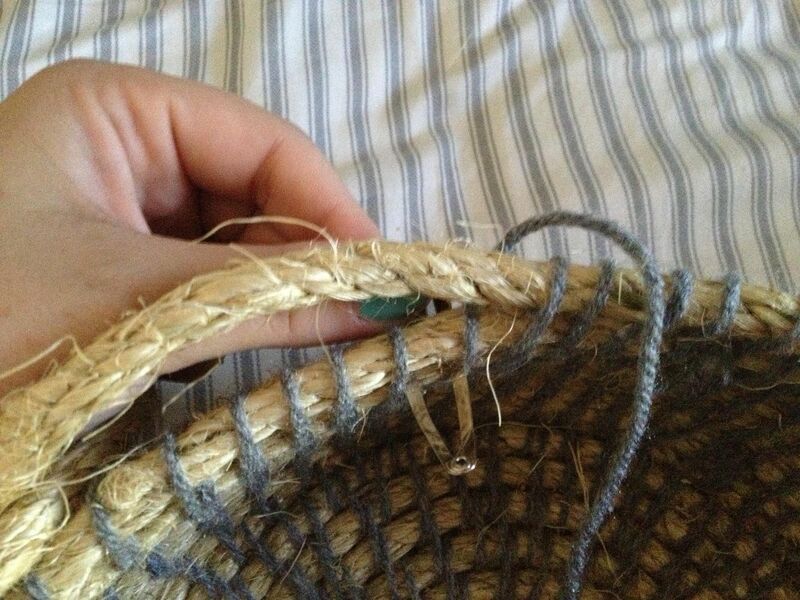 So glad you shared this awesome project/basket. Would be great gift. Can only imagine how much that kind of basket would be to buy? OUCH. Can make it whatever size wanted also. Happy weekend. JaneEllen, Gloves may be a good idea! I’ll let you know after I make mine. Thanks for reading!